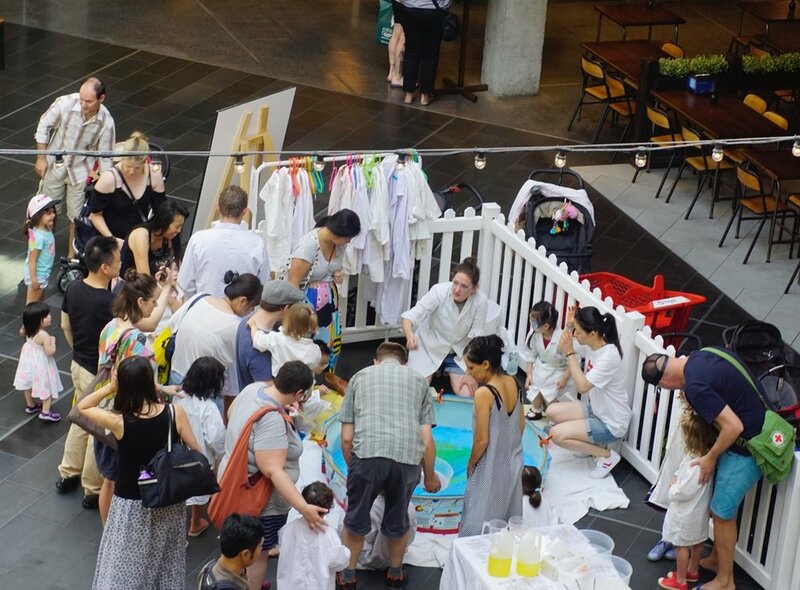 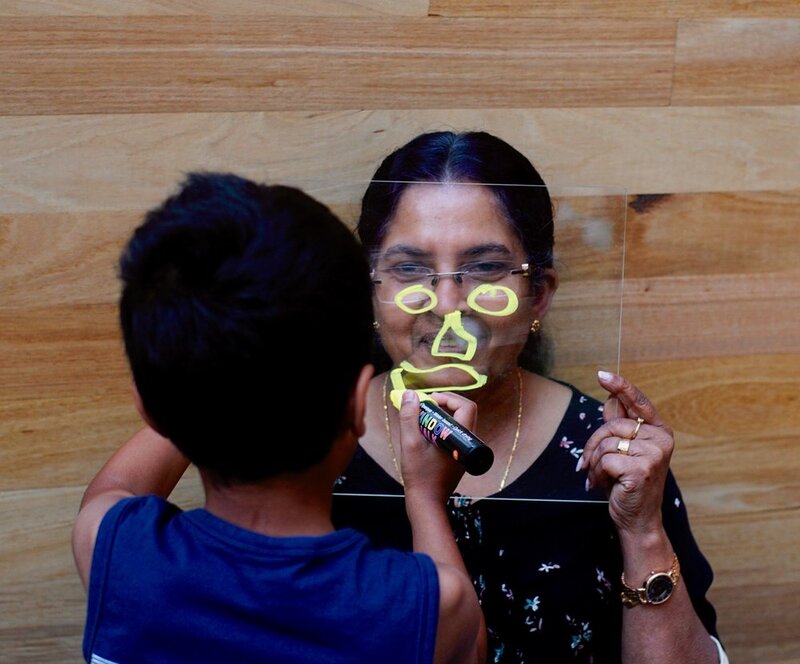 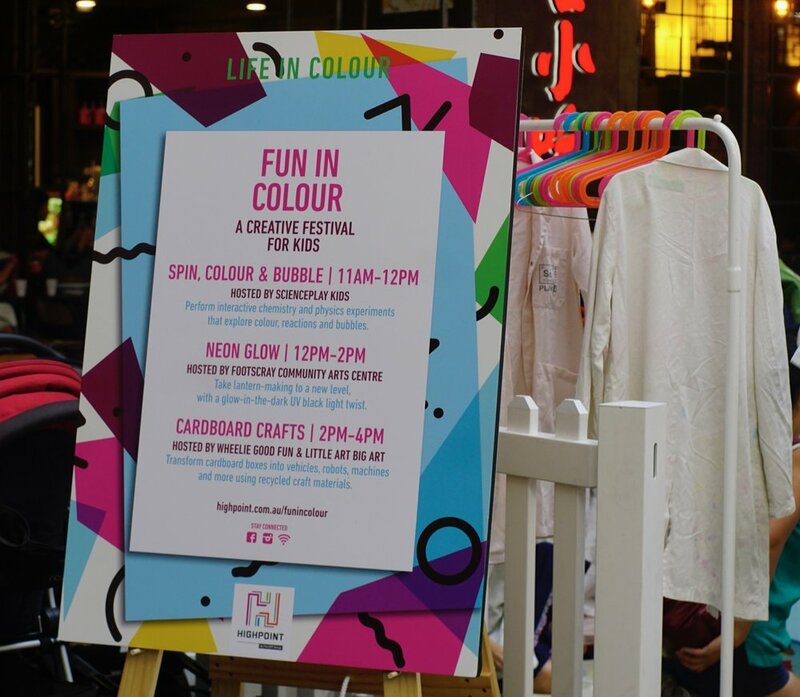 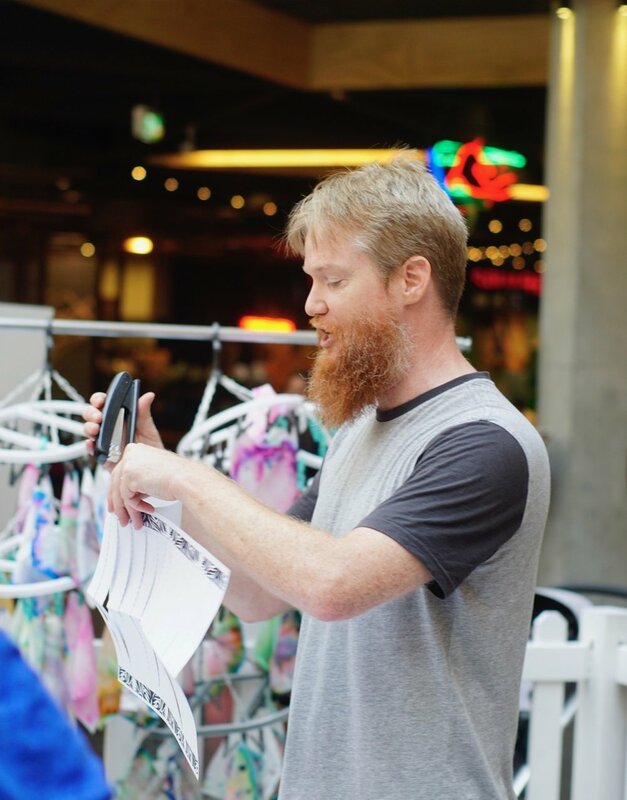 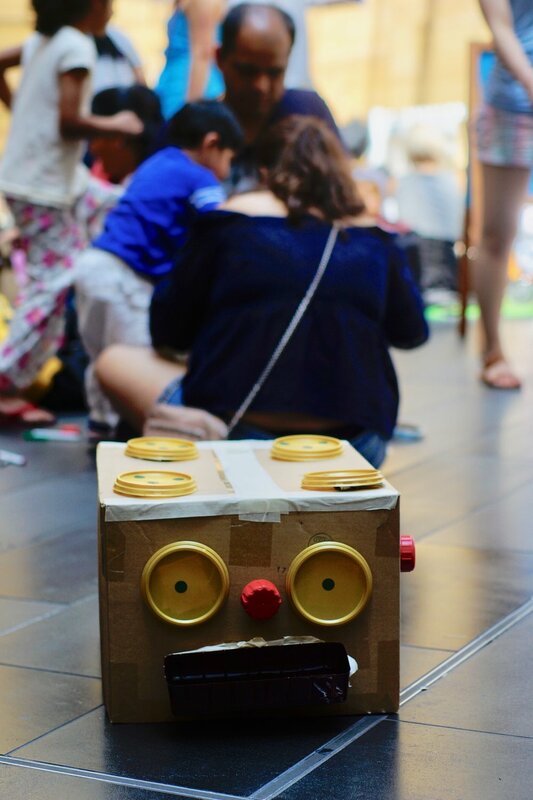 Life in Colour was a children's festival featuring a series of free creative workshops developed by Wheelie Good Fun and our regular collaborators Footscray Community Arts Centre, SciencePlay Kids and Little Art Big Art. 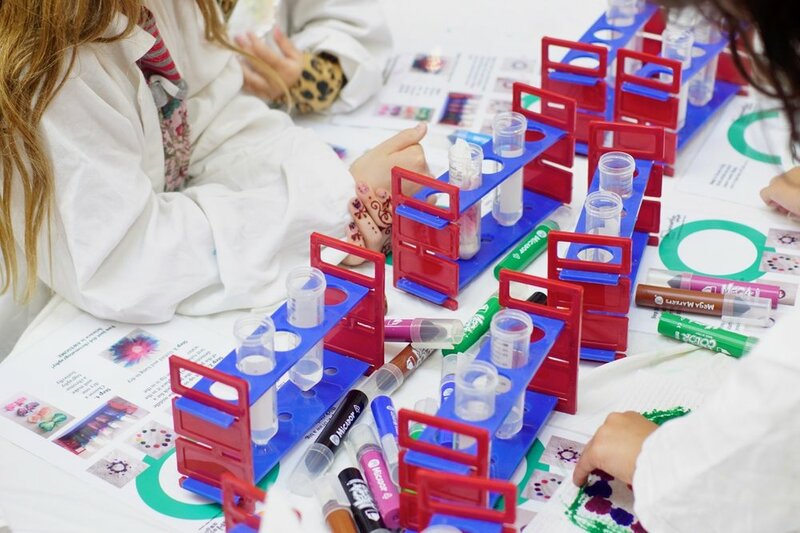 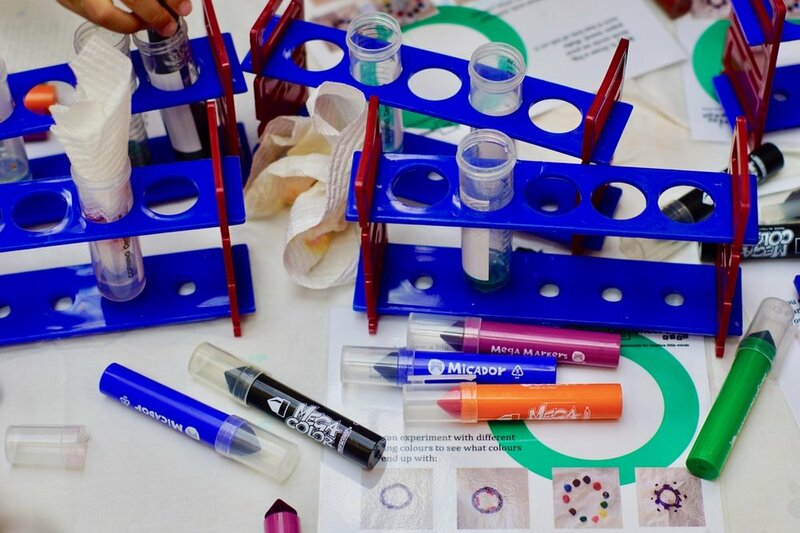 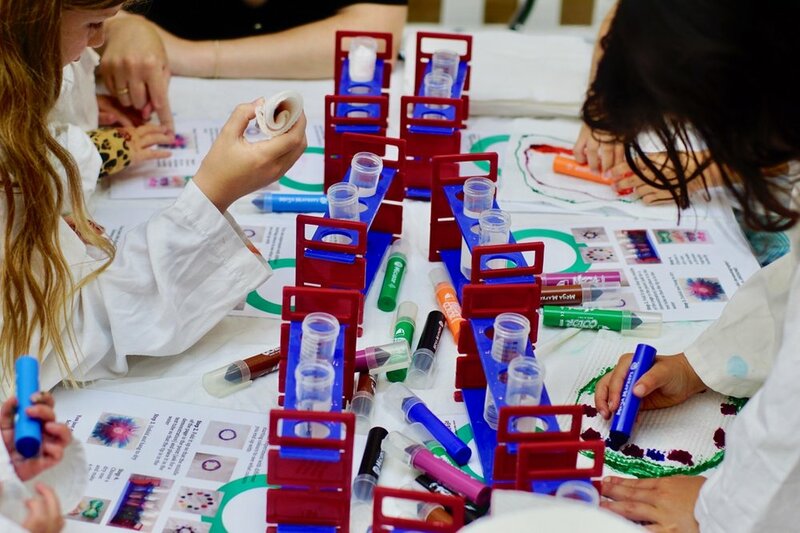 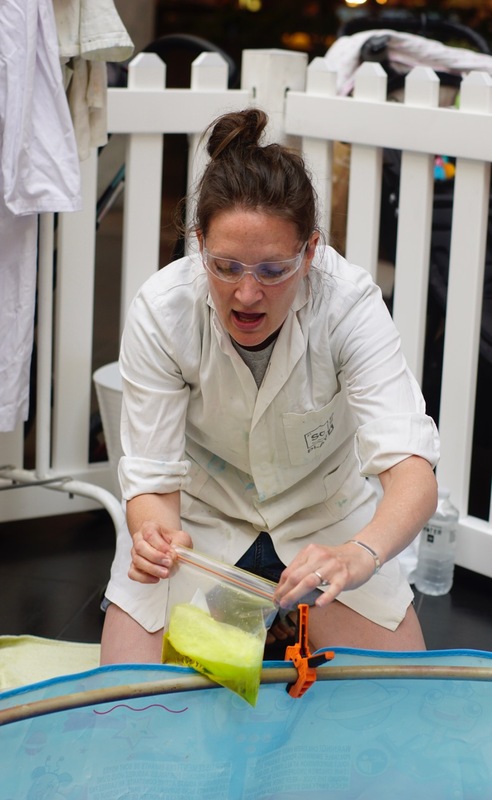 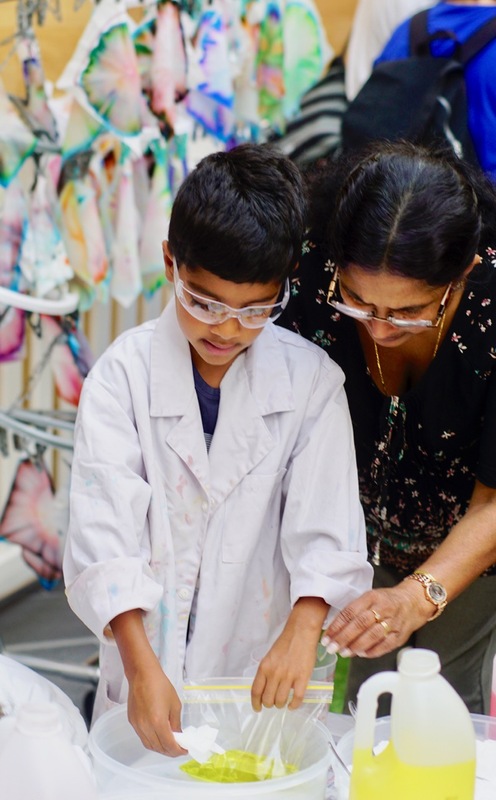 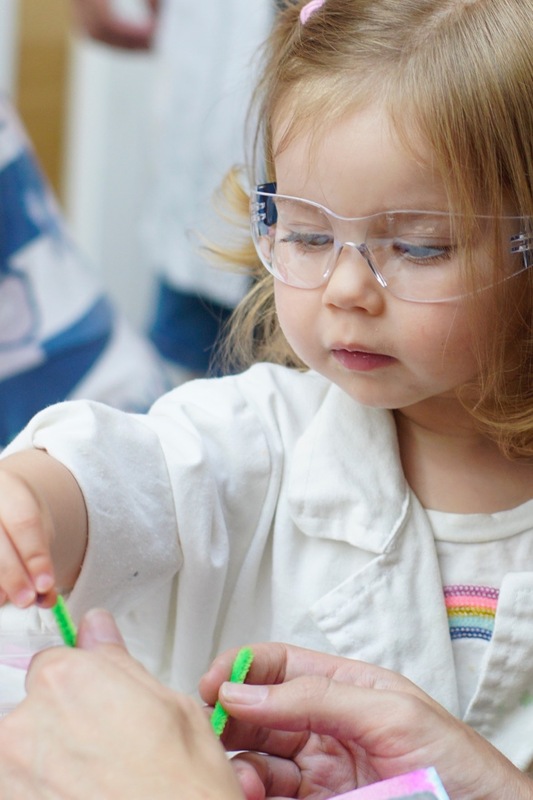 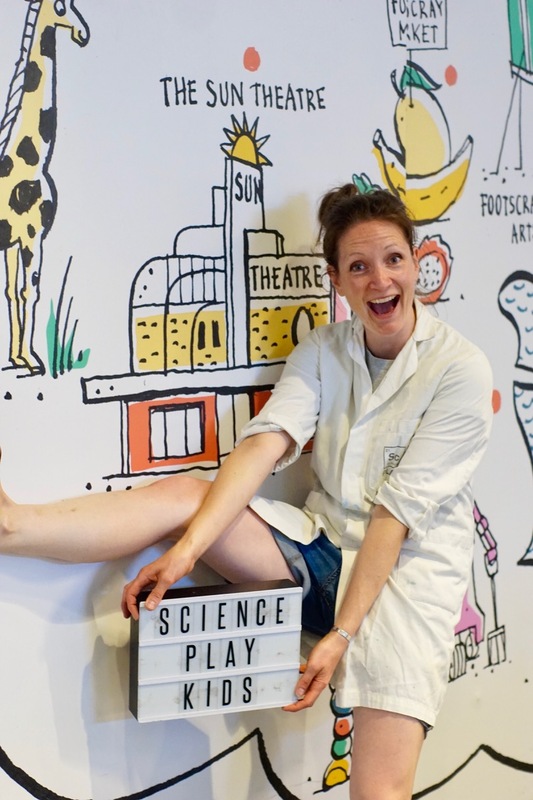 Perform large-scale, interactive chemistry and physics experiments that explore colour, reactions and bubbles with Dr Lorien Parker. 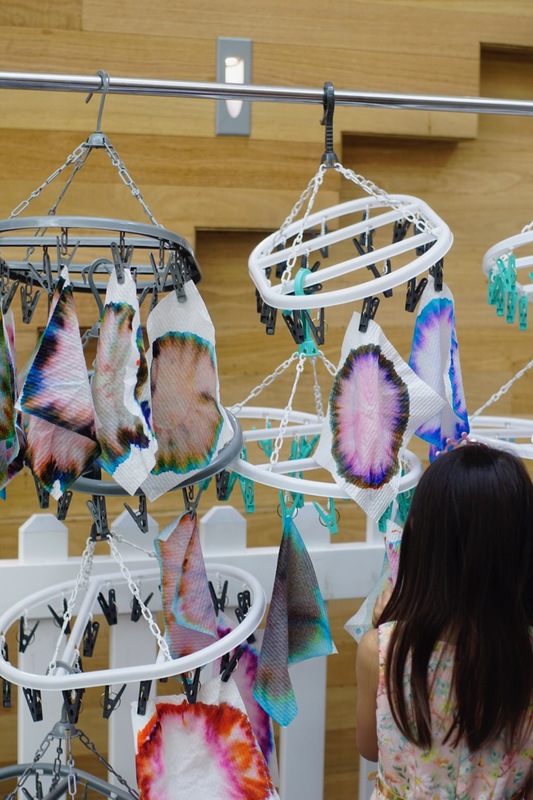 Take lantern-making to a new level, with a glow-in-the-dark UV blacklight twist. 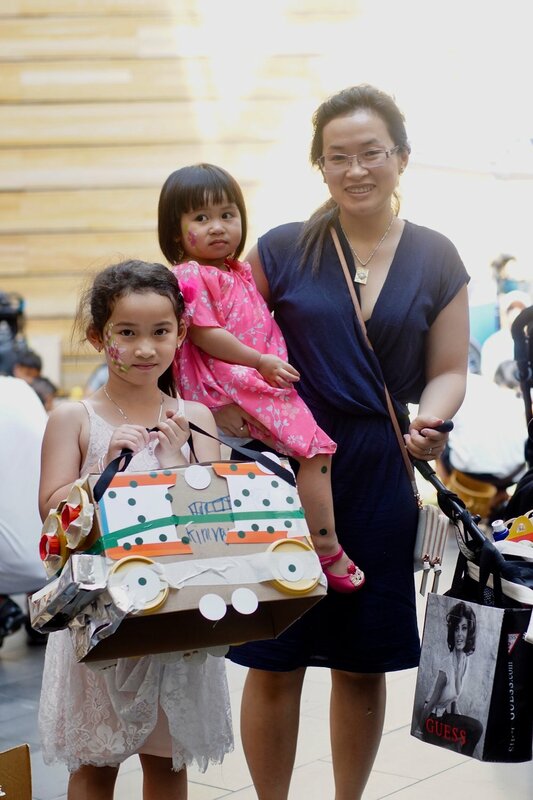 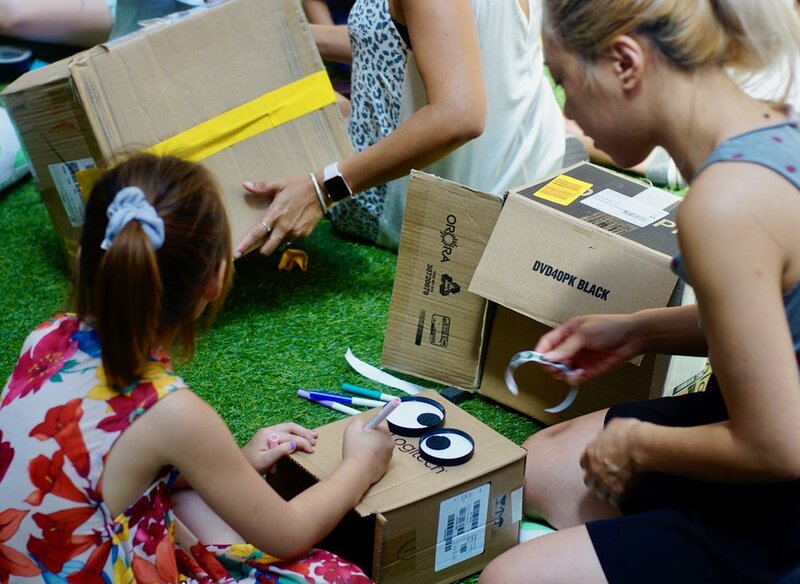 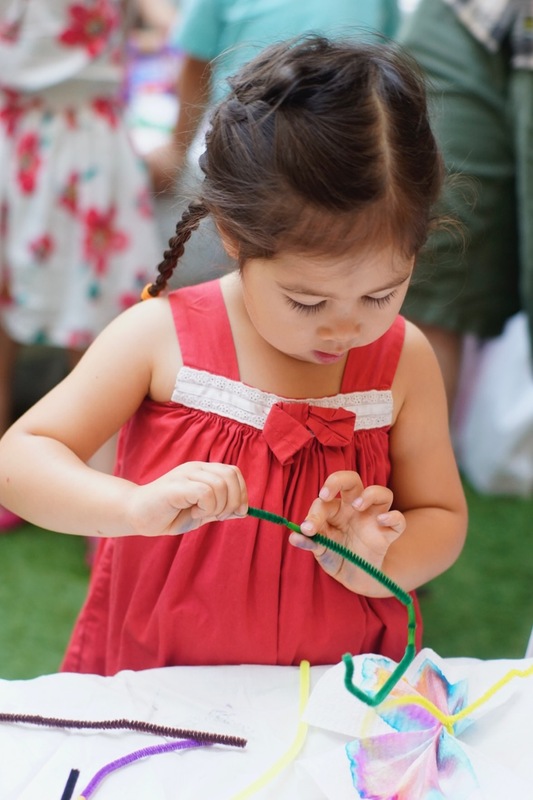 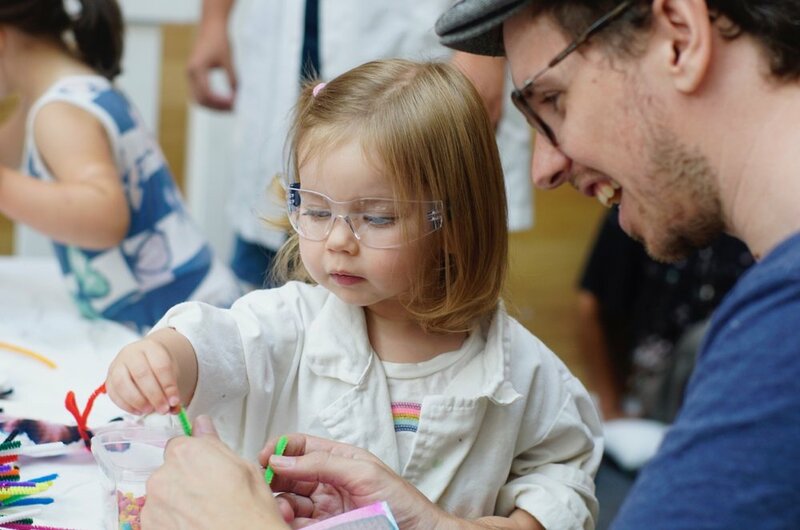 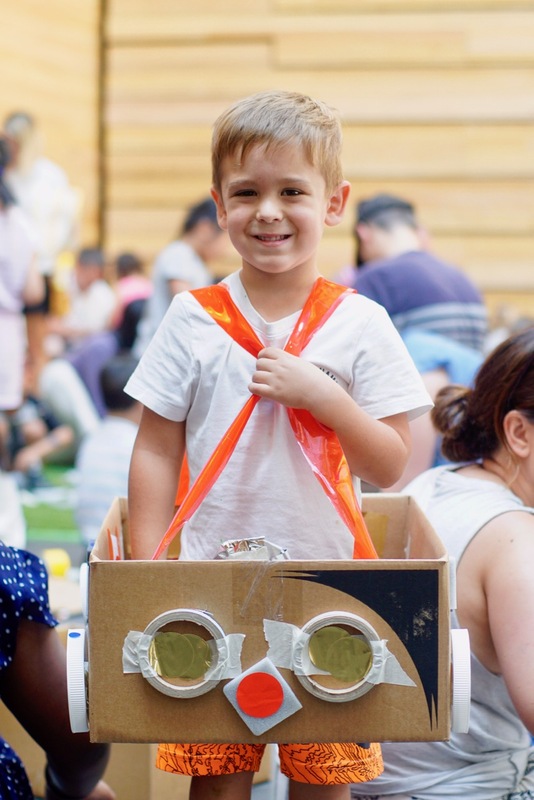 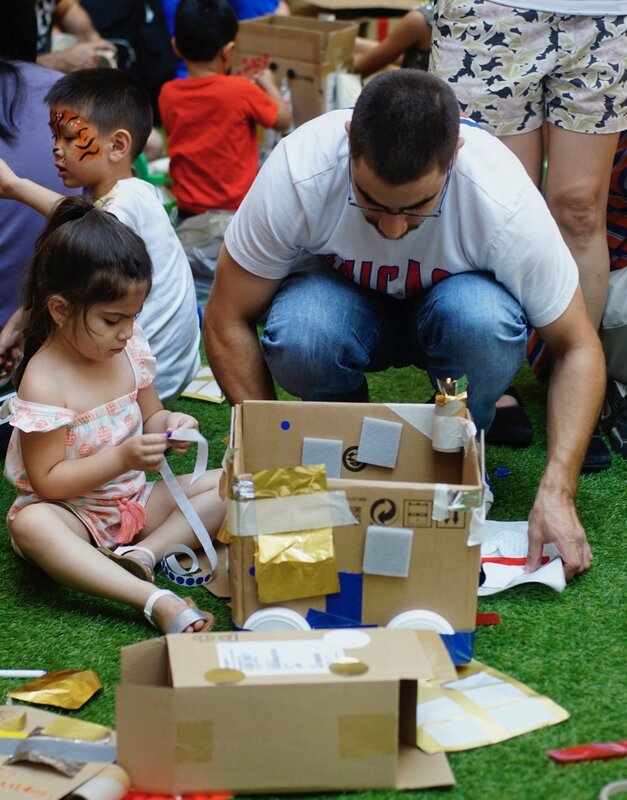 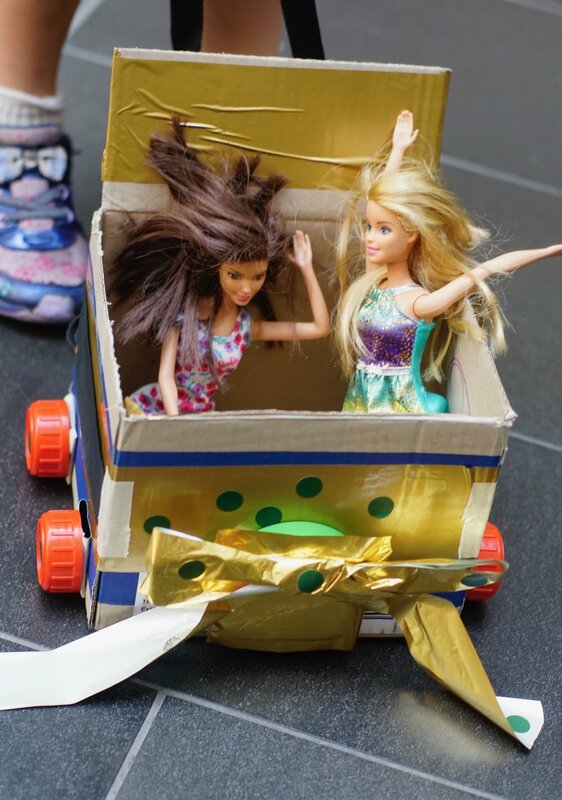 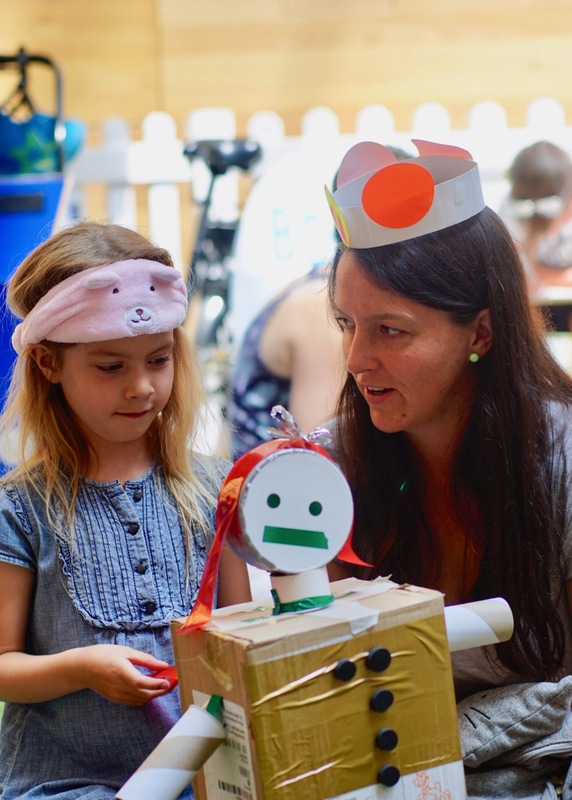 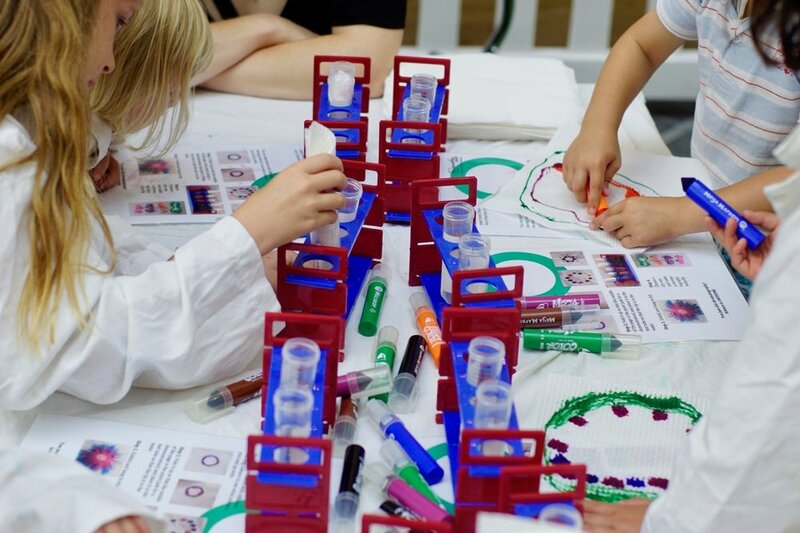 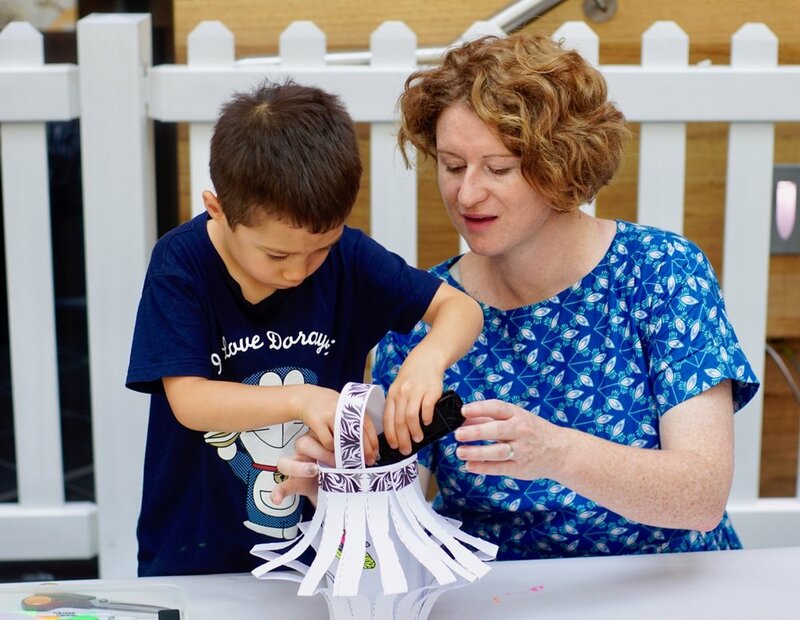 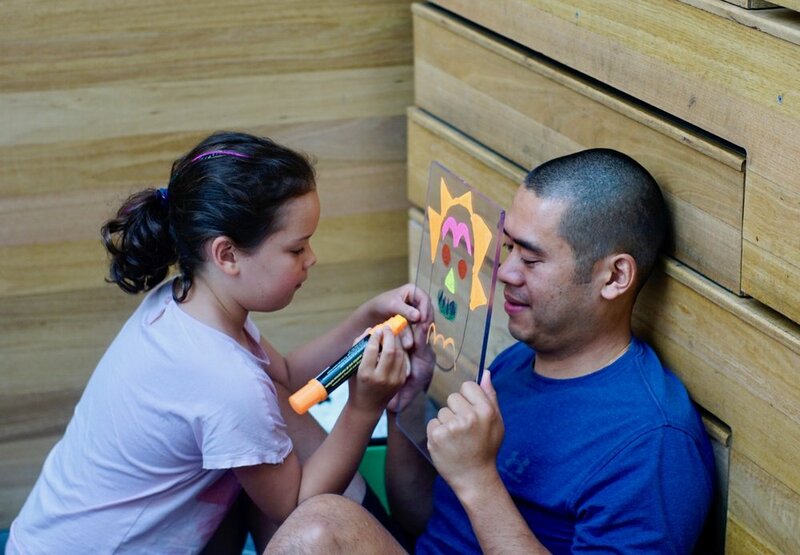 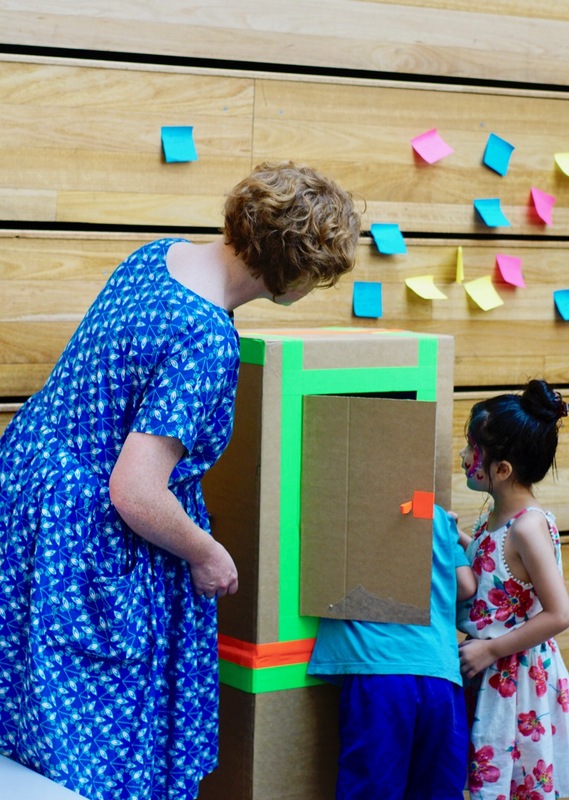 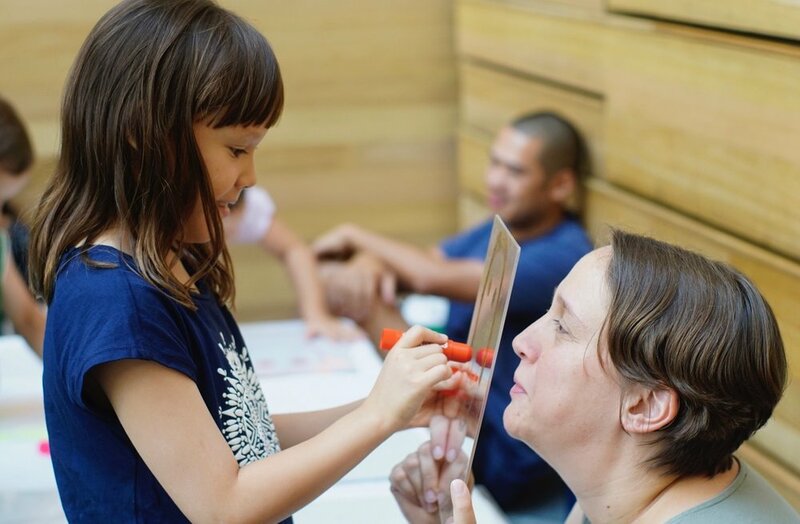 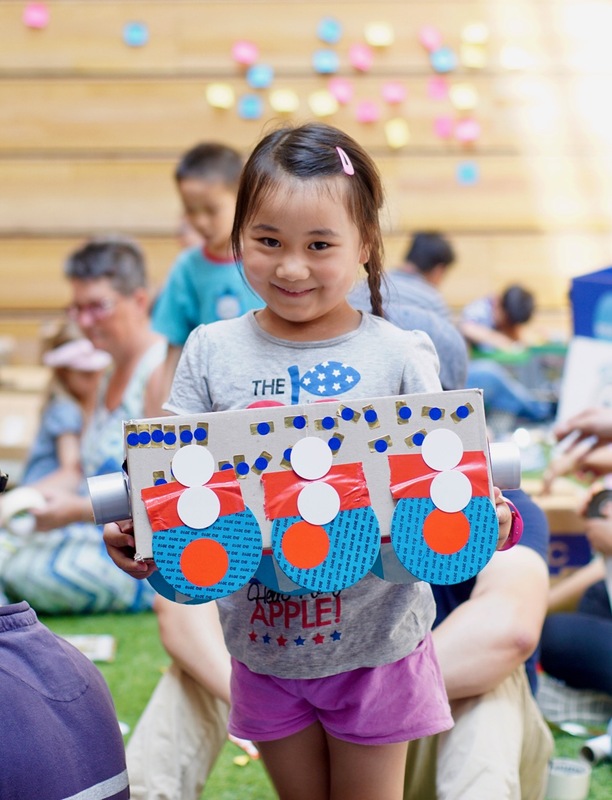 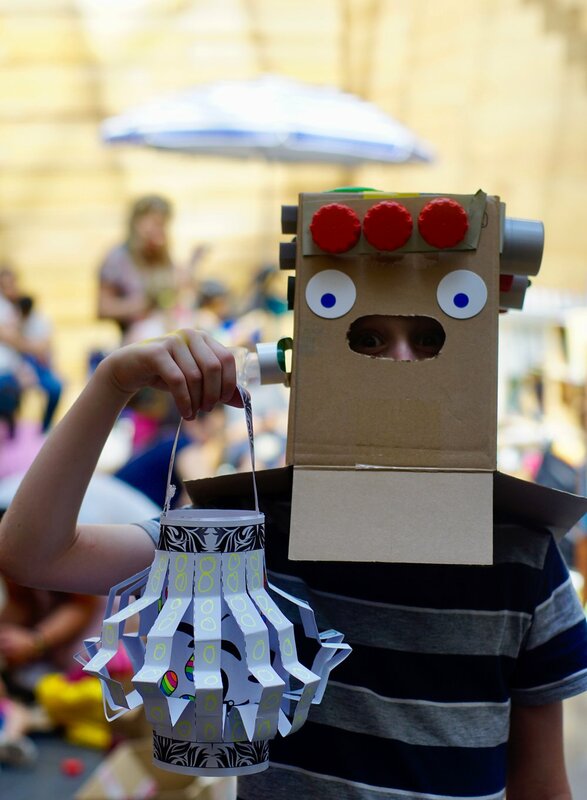 Join Wheelie Good Fun and Big Art Little Art as families transform a cardboard box into a colourful vehicle, robot, machine or imaginary structure using simple tools and recycled craft materials. 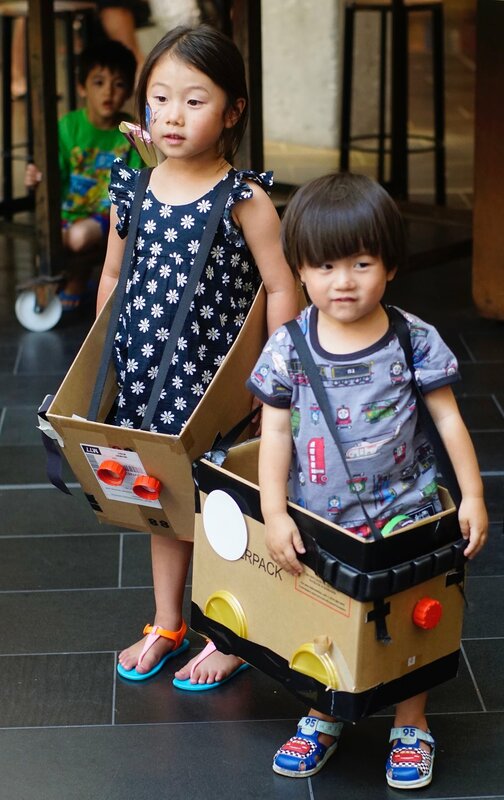 Book Swap Bike is a community book-swapping activity run out of a Danish Christiania cargo bike, where kids can chill out and share a story together. 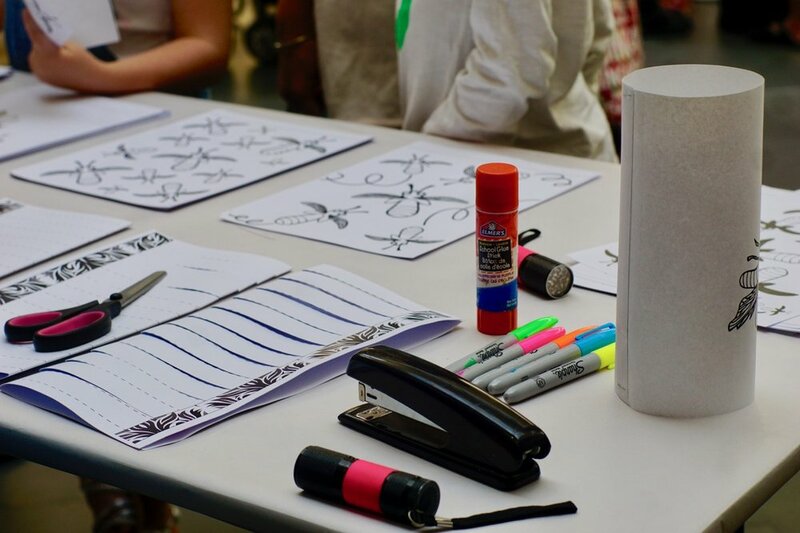 The workshops were all drop-in, with no bookings required. 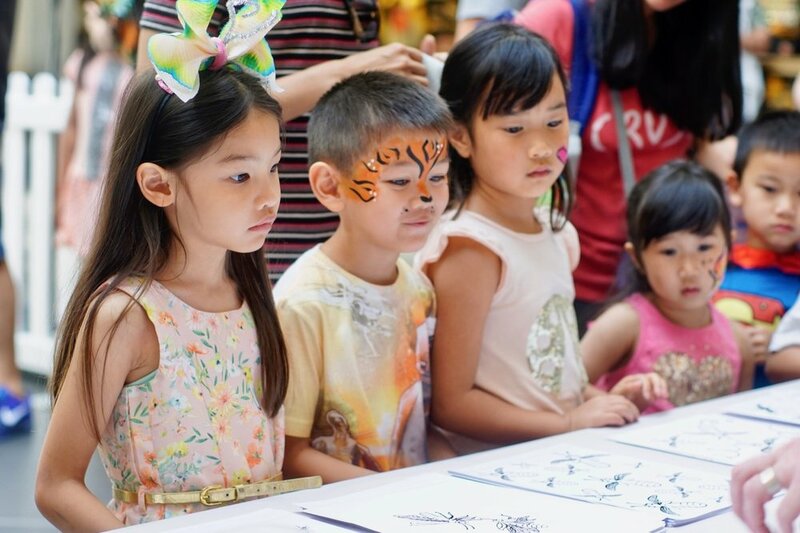 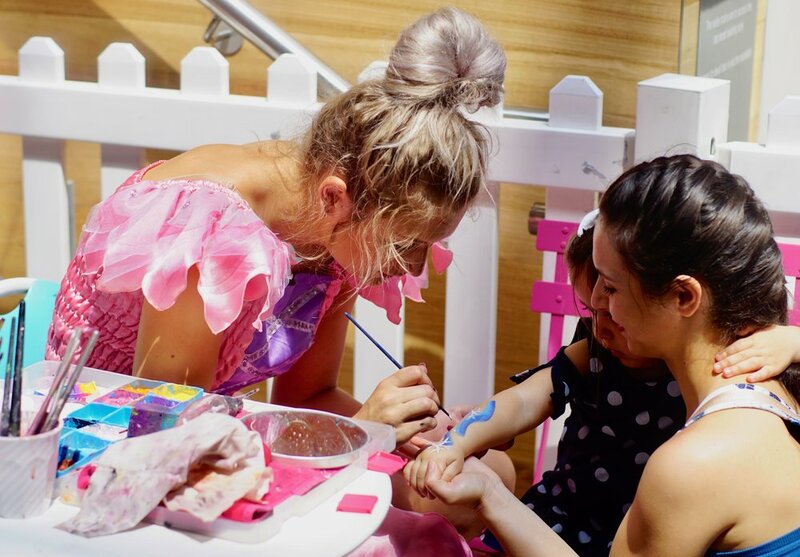 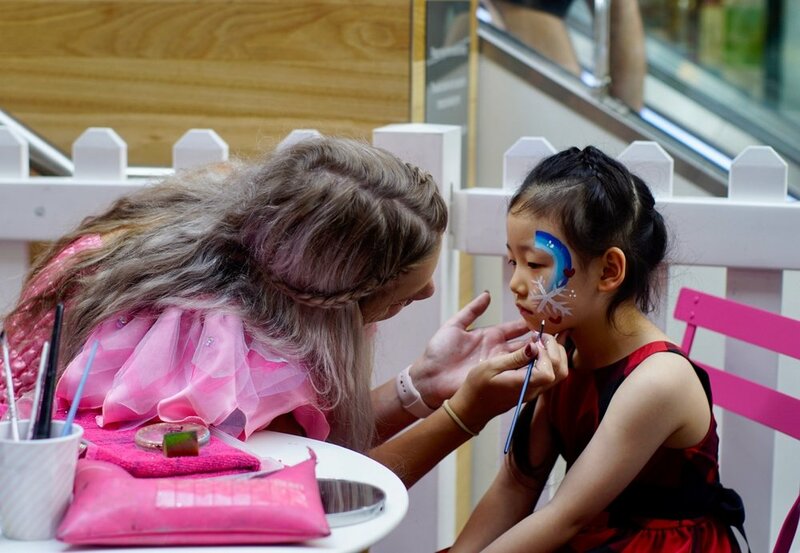 All activities were aimed at children aged 2-12 years. 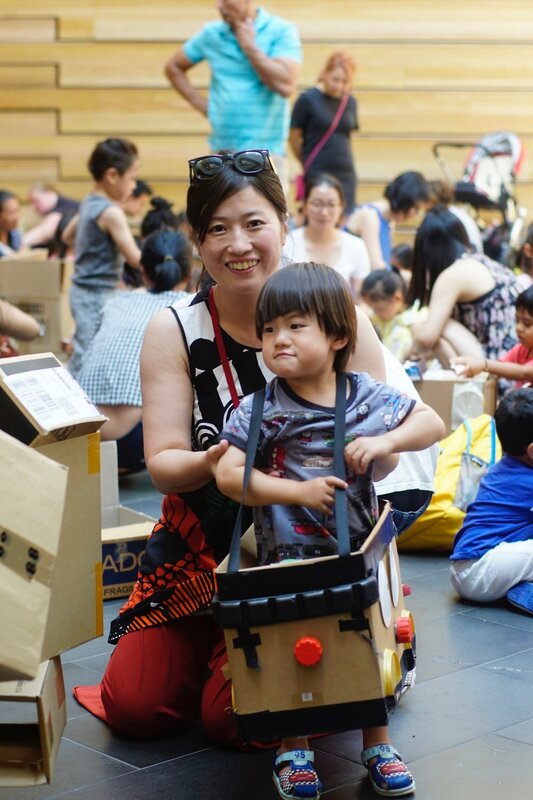 Over the two days we estimate we hosted over 500 families!